On June 16, 2015, the United States Food and Drug Administration (FDA) announced their decision to eliminate trans fat from food in the United States by 2018, with a gradual phase-out period beginning immediately. Take THAT, trans fat advocates! Hold on ... are there any trans fat advocates? While some dislike government regulation of foods and nutrients, there isn’t much debate about trans fat health effects anymore. This brings up a question … if we all know that trans fat is bad, why is it still a public and personal health issue? Well, it is true that trans fat consumption has dipped considerably, with blood levels dropping by 58% in the 2000s. But incremental consumption of industrially produced trans fat is incrementally harmful, and the National Academy of Science has concluded that there is no safe trans fat dose. So out of all the nutrient and nutrient-like substances out there, trans fat hold the dubious distinction of being one of the only categorically harmful ones. And you might not always know that you’re consuming trans fat, since some soybean and canola oils can have hidden trans fat inside. Trans fat is an unsaturated fatty acid and a byproduct of partially hydrogenated oils (PHOs.) It is found in many processed food products, including margarine, coffee creamer, fast food, frozen pizza, snack foods and other baked goods. Trans fat is also found in some peanut butter. It is frequently used by the food industry because it improves flavor stability and shelf life of food. Since trans fat has a different melting point depending on how processed it is, it’s also a very flexible ingredient. But aside from these benefits, it seems that the primary reason trans-fat was added into the food system was the demonization of saturated fat by the USDA in the 1950s. By the 1980s, activist organizations were denouncing food manufacturers for using ‘unhealthy’ saturated fats in their foods, and endorsing trans fat as a ‘healthier’ alternative. Considering the benefits to shelf life, flavor stability, and flexibility, manufacturers gladly made the change. Some types of trans fat are naturally produced by ruminant animals. This group of animals includes cattle, sheep, goats, buffalo, deer, and other animals with four stomach compartments. The first, and largest, part of the stomach, called the rumen, is where trans fat is produced. Humans can create trans fat through a commercial process called hydrogenation, in which hydrogen gas is boiled through oil (usually vegetable oil) to allow the oil to saturate, which determines its thickness. Medical professionals consider trans fat to be one of the most unhealthy compounds found in today’s food. Trans fat consumption is associated with increased low-density lipoprotein cholesterol (LDL-C and inflammation), and decreased high-density lipoprotein cholesterol (HDL-C). These health risks can speed up the development of atherosclerosis (clogging and hardening arteries) and increase the risk of diabetes, coronary heart disease, and cardiac-related sudden death. However, a recent systematic review strongly suggests that these negative health effects are primarily attributed to the consumption of industrially-produced trans fatty acids (IP-TFA), but not ruminant-derived trans fatty acids (R-TFA). In fact, most animal models have demonstrated that IP-TFA and R-TFA have different effects on CVD risk factors. For instance, a rat study showed that supplementation with an R-TFA called Vaccenic acid had either a neutral or beneficial effect on CVD risk markers such as total cholesterol, LDL-C, and fasting and postprandial triglycerides. Trans fat can be made commercially, or naturally by certain animals. It is used in the food industry to improve flavor and shelf life, but the FDA has announced it will be phased out of the U.S. food supply because it is damaging to health. This increased risk is significant. A 2006 meta-analysis found that a 2% increase in trans fat intake is associated with a 23% increase in cardiovascular disease risk. Cutting commercial trans fat intake from 2.1% of daily energy intake to 1.1% could potentially prevent 72,000 cardiovascular deaths. A drop to 0.1% of daily energy intake could potentially prevent 228,000 cardiovascular deaths every year in the U.S. While the evidence on ruminant-produced trans fat isn’t conclusive regarding potential heart health benefits (especially at the doses commonly ingested), a recent meta-analysis points to no detrimental impact on cardiovascular disease markers. Even though the FDA has recognized the negative health effects of trans fat and is taking steps to remove it, trans fat is still prevalent in our food. While the American Dietetic Association (ADA) recommends no more than 1% of your daily calories come from trans fat, unclear nutrition labels can sneak a lot of trans fat onto your plate. If a nutrition label claims the product contains “partially hydrogenated” fat or “zero grams of trans fat,” that doesn’t mean there is no trans fat in the product. This is because the FDA previously allowed products to be labeled with zero grams of trans fat as long as the product had less than 0.5 grams. Multiple servings of “zero grams of trans fat” food can result in much more ingested trans fat than the ADA recommends. 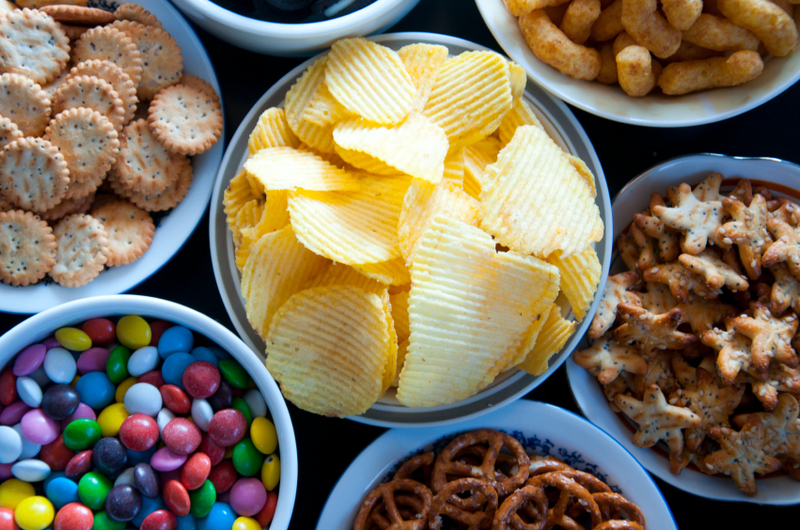 Trans fat consumption is a significant contributor to cardiovascular disease. The FDA has long recognized this and finally decided to gradually eliminate it from our food system by 2018. Until then, any industrially produced trans fats still present in our food system should be avoided, though this can be quite difficult due to confusing and misleading nutritional labels. To explore the potentially healthy side of natural trans fats, click here to see our entry on CLA.